Summer is the perfect time to change up your beauty routine. Our skin and hair don’t usually require products that are as heavy as what we’d use in the colder months. I usually tend to be more active during the summer time and I like to find what works with my active lifestyle. Here are some of my favorite new products I’ve discovered this summer, I can’t wait to share them with you! I have been a huge fan of Renpure products for the last few years. The quality of Renpure easily slays more expensive brands; it’s an affordable and superb line for the entire household. Our family appreciates that Renpure Shampoos and Conditioners are free of gluten, parabens, sulfates, harsh salts, dyes, pthalates, propylene glycol, and sodium chloride. They are also cruelty-free! I was very excited to try the newest formula for Summer: Renpure Bamboo Coconut Water Shampoo and Renpure Bamboo Coconut Water Conditioner. The fragrance is amazing, it reminds me of being on a tropical island! My hair felt incredible; soft and strong. The formula is light enough that it didn’t weigh down my hair, but provided my hair with the necessary hydration it needed. I also noticed that the scent softly lingered in my hair throughout the day. This formula is wonderful for all hair types, including color-treated hair. Even pale ladies like me know that a glowing tan is essential for Summer. Instead of hitting the tanning bed, self-tanners are a much safer solution for achieving that bronze glow that we all crave. Skinny Tan has created a line of products that help you get that deep, rich shade of color and fight cellulite too! Skinny Tan Pre-Tan Primer is necessary for treating your skin before you tan. The Pre-Tan Primer removes dead cells and exfoliates skin to create a perfect canvas for your tanner. For best results, use the day before you apply the tanner. Skinny Tan 7 Day Tanner is a great tanner that works for every skin tone. This product can be reapplied until the desired color is achieved. I love that it hydrated my skin and smelled like a Pina Colada! Made with Guarana, it also works hard to fight the appearance of cellulite. Skinny Tan After Glow helps maintain your tan and gives your skin a soft shimmer. This hydrating gloss can be used anytime you want a flattering glow with no commitment. I appreciate that all Skinny Tan products are paraben-free, cruelty-free, and environmentally conscious. There are so many fun things to do in the summer! Concerts, festivals, camping, fireworks, picnics, boating, and camping. Viva Jennz created an awesome product for moms on-the-go this summer. 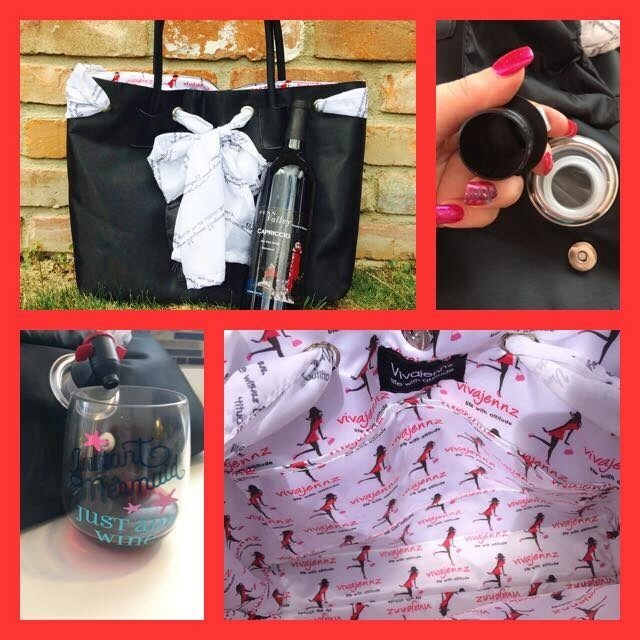 The Team Jennz Wine Purse is the posh and portable solution for keeping you hydrated this summer. I brought this along on my family vacation and filled it with water and juice for my perpetually thirsty kindergartener. My husband and I plan to take it with us on picnics to our favorite park. For all the “naughty” moms out there, it could also be filled with wine for concerts, festivals, and lazy days at the beach. It is incredibly easy to fill the bladder pouch, tighten the spout, and you’re ready to use! You can’t beat this trendy way to tote around your favorite drinks! Models Own has been getting a lot of buzz from beauty bloggers these days. Women are loving these affordable yet professional grade products! I was so excited when I finally had an opportunity to check them out for myself. 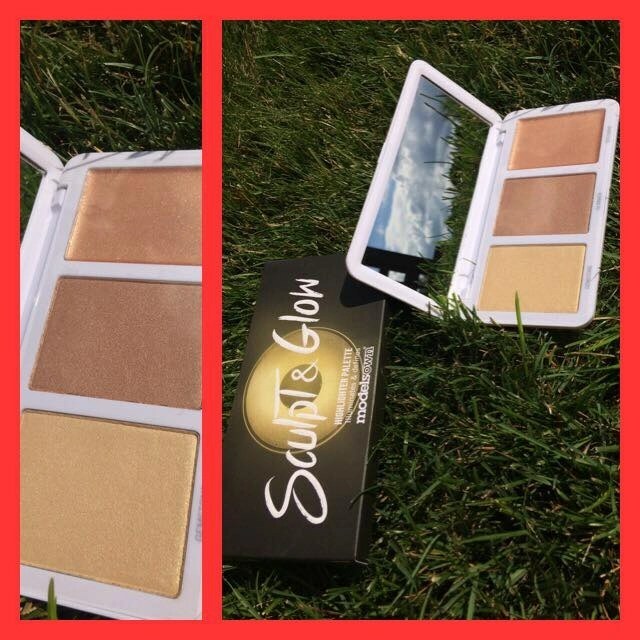 When I opened the Models Own Sculpt & Glow Highlighter Palette, I was very impressed by the wonderful color shades. These glowing, gilded tones are perfect for summer! This palette is great for a lady that likes her makeup to look more natural. The shades were so natural, it was hard for me to get a good shot of the different color swatches on my skin. However, I love that these shades glide on effortlessly and I’m left with a beautiful dewy, natural look. 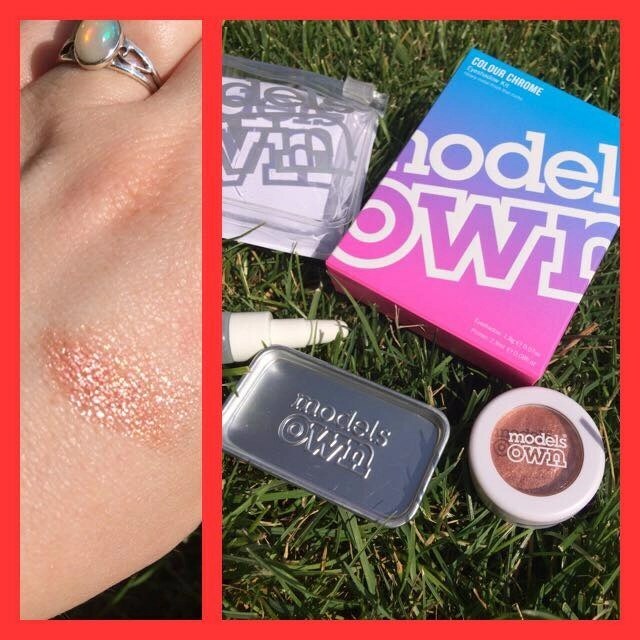 Models Own Colour Chrome Eyeshadow Kit is such a fun product! This is such a fierce look for a big night out. Using the tray, combine a little of the primer with the cream-based shadow. Blend together and swipe on eyelid for a foiled, metallic look. The staying power of this shadow kit is incredible, it will last throughout the night with no need for touch-ups. 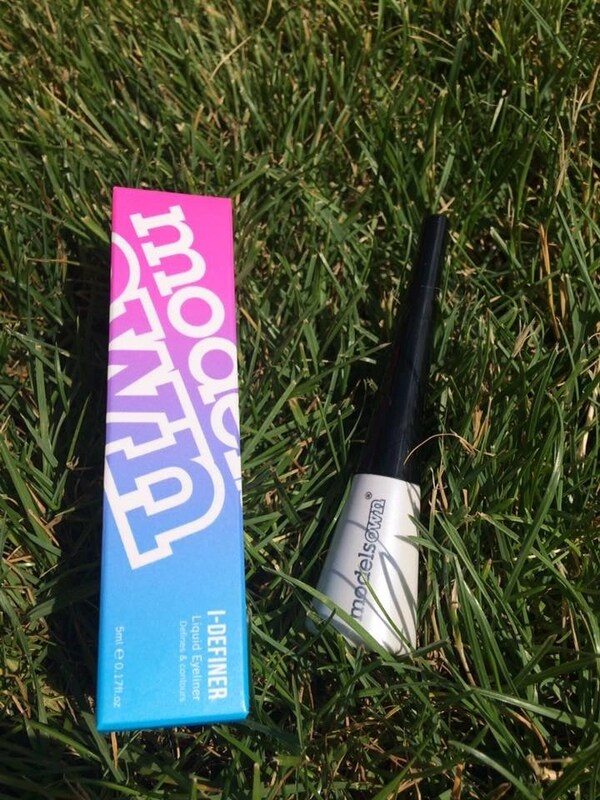 A good liquid eyeliner is essential for your makeup bag! Models Own I-Definer Liquid Eyeliner has become one my favorites and I highly recommend it. It glides on easily without any runny mess. I also like that it dries very quickly so I don’t need to worry about any makeup mishaps. I’ve also found that it has great staying power through humid summer days. These are some of the greatest finds I’ve discovered this summer, what are some of yours? I’d love to hear your response in the comments below! The Renpure products look good, I will have to them out. Some of these are new to me. 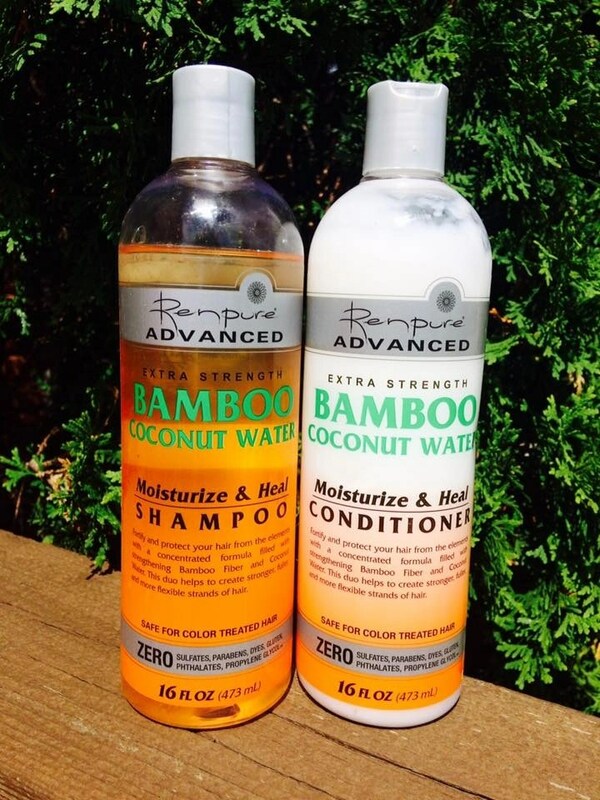 The Bamboo Coconut Water shampoo and conditioner sounds like something I need! A new gym, and a great novel, My Sunshine Away, are my greatest discoveries so far this summer. would love to try that highlighter palette! love that color! That wine purse looks pretty fun. It would be great for an outdoor picnic or party! I’d love to try the shampoo & conditioner. My hair gets so dry in the summer. The shampoo and conditioner sound really nice! Thank you for sharing. I would love to try the shampoo and conditioner. They all look like great products. I think the wine purse and the bronzer are the only things i need to make this a happy summer. I’ve been looking for new haircare products, and I would love to try Renpure Shampoos and Conditioners! They sound wonderful! The Renpure shampoo and conditioner sound great. Would love to give them a try. I’d also like to try the liquid eyeliner. Great products for summer. I especially love the coconut water shampoo and conditioner. I would love to try that for my hair. Seems like a great product. Thanks for sharing.